Ever-increasing demands for more production, stressful workplace environments, and deadlines can cause individuals to suffer heart attacks or strokes. Studies have shown that people who are on tight deadlines (short periods of very high stress) are six times more likely to suffer a heart attack than others. If you or someone you love has suffered a heart attack or stroke while working, contact Pulgini & Norton for a free consultation and an honest assessment of any potential claims you may have. 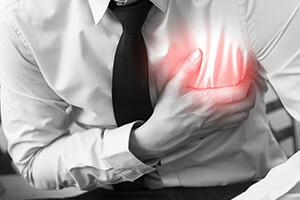 Because a heart attack or stroke will usually result in tens of thousands of dollars in medical bills and significant time away from work, employers and their workers’ compensation insurance carriers know that proving a heart attack or stroke was work-related is difficult, and they are eager to try and avoid paying benefits in these cases. Our attorneys have nearly 40 years of combined experience and have handled cases involving all types of work-related injuries, including heart attacks and strokes. Through this experience we have become well-acquainted with the evidence that is necessary to prove these cases. As important is the fact that when you ask us to put that experience to work for you, you can rest assured that it will be an experienced attorney who personally handles your case. Talk to an experienced Massachusetts workers’ compensation attorney about your work-related injury. Contact us via e-mail with a brief description of your situation or reach us by phone at our Downtown Boston, Hyde Park, or Braintree, Massachusetts, office locations.